I laughed, I cried, I Became a Victim on Cupid’s Literary Connection! 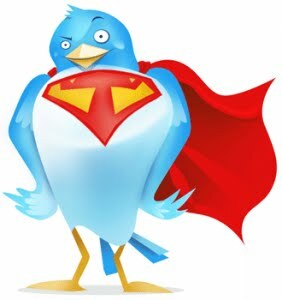 I am now a firm believer in the powers of Twitter. Oh, I’ve been paying lip-service to Twitter and dutifully tweeting every few days, saying random things I think you’re supposed to say, announcing my new blog posts over the past month. Everything a new young writer is supposed to do. Most of the time that I’m on Twitter, I feel like I’m riding an uncontrollable wave made out of people that don’t care for my comments, don’t get my sense of humor, and would rather I just browse quietly so they don’t have to acknowledge my existence – with the exception of my #writemotivation supporting crew.You guys have been awesome. I know it can be a powerful tool once you get the hang of it, and sometimes I can almost see the end of the enlightenment tunnel, but then someone uses something differently than I’ve been using it and then I know I’ve probably pissed somebody off by the wrong hashtag placement. So basically, it feels like high school all over again. Awkward. After I submitted my entry, I waited along with 200 others for two weeks to find out if we made the final cut. I just received the e-mail today congratulating me on my entry becoming a “victim” for Cupid’s Literary Connection “Surprise Agent Invasion” . My entry along with 50 other lucky participants will be displayed for three weeks starting tomorrow. Invited agents will then make comments on our manuscripts and queries or even request our manuscripts. Pretty exciting, eh? I know it may seem like a little thing, but any positive reinforcement my manuscript gets is like watching my baby taking her first step. When I read the acceptance e-mail, I laughed and cried at the same time, just like when my children were born. Happy tears; overwhelming feelings so hard to describe. UPDATE: My entry can now be viewed at Cupid’s Literary Connection at the above link. I am #17. < Previous #writemotiovation check in – where did spring break go? or how do you entertain the caged teenager? Woohoo! Congrats and good luck! I wish i had known about that one, too. I have no idea how to write a query or what to put in it. Anyway, good luck on getting a request for the manuscript and/or an agent who’ll represent you. ha! yes, i’ve been crowing all day. thanks! keeping my fingers crossed! So cool! I’m so excited that you were chosen! Whoo hoo! i am still very excited too! Yay! Congrats! That’s awesome – I hope a ton of agents swing by. 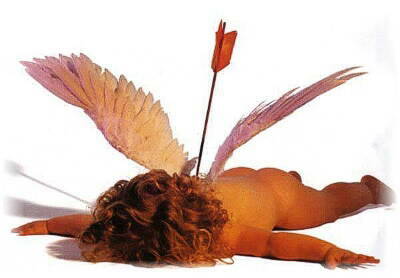 I know Cupid seems to be on the ins with several of them. Obviously you have a query that worked, but if you ever need help, I kind of like query writing (and reading). Just give me a holler. oh, i may definitely take you up on that query aid. here’s hoping cupid like me enough to shoot me anyway with what i’ve got for now! yes. mine is number 17 and it is up right now. This is very exciting indeed!! Best of luck and keep us updated! thanks! i will definitely post anything newsworthy.